The Dolores Huerta Foundation provides organizing training and resources to rural, low income, communities. Our community organizing model engages residents in a process of determining and prioritizing their community needs, trains them to speak directly with organizational leaders and public officials, and provides them with a platform to advocate for desired changes. 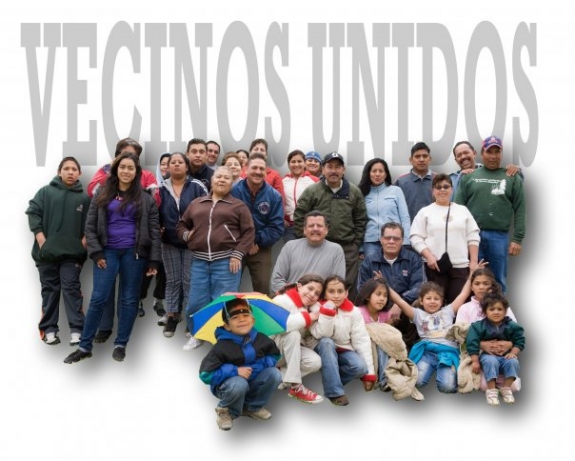 Our active base calls themselves the Vecinos Unidos (United Neighbors). From November 2017 to August 2018, DHF organizers continued to grow the volunteer base of the Dolores Huerta Foundation by establishing four new Vecinos Unidos (Neighbors United) chapters. In Parlier and Sanger in Fresno County, the new chapters were formalized at the end of 2017. Greenfield (Southeast Bakersfield) and California City are the newest Vecinos Unidos chapters in Kern County established in 2018. The California City chapter is the first predominantly African-American chapter. The DHF has been working closely with youth and parents in the Mojave Unified School District (MUSD) to address their discipline crisis. MUSD has the highest suspension rate of African American students in the state, 81% of African American students are suspended or expelled. Seventy percent of the population in California City is made up of people of color (Latinos and African Americans) while all representatives on the MUSD school board are Caucasian. Each of the nine Vecinos Unidos chapters continue to host monthly community forums to educate Vecinos on various topics and provide trainings and updates. In August, 2018 DHF hosted its first Vecinos Unidos Leadership Conference which brought 140 youth and adult leaders together from the nine Vecinos Unidos chapters in Kern, Tulare, and Fresno counties. Vecinos Unidos organize monthly community forums known as Juntas Generales (General Assemblies) in the communities where DHF organizes. These meetings are open to the public. Topics vary from month to month depending on resident interest, current events, and DHF advocacy efforts. Past meeting topics have included environmental issues, domestic violence, financial literacy, nutrition, immigration, and workers rights among others. The Juntas Generales connect residents to information and resources that they wouldn’t necessarily have access to. Through these monthly forums Vecinos gain experience in public speaking, preparing and giving presentations, group facilitation, and event coordination. Vecinos acquire these leadership skills through their actual participation. Call to Action: GET OUT THE VOTE! / Hora de Acción: ¡Ser Voluntario y SACAR EL VOTO!